The design studio Bønnelyked MDD has designed a Shower Wiper for Frost that doesn't need to hide. The slim design and high-quality materials is available with different storage possibilities. 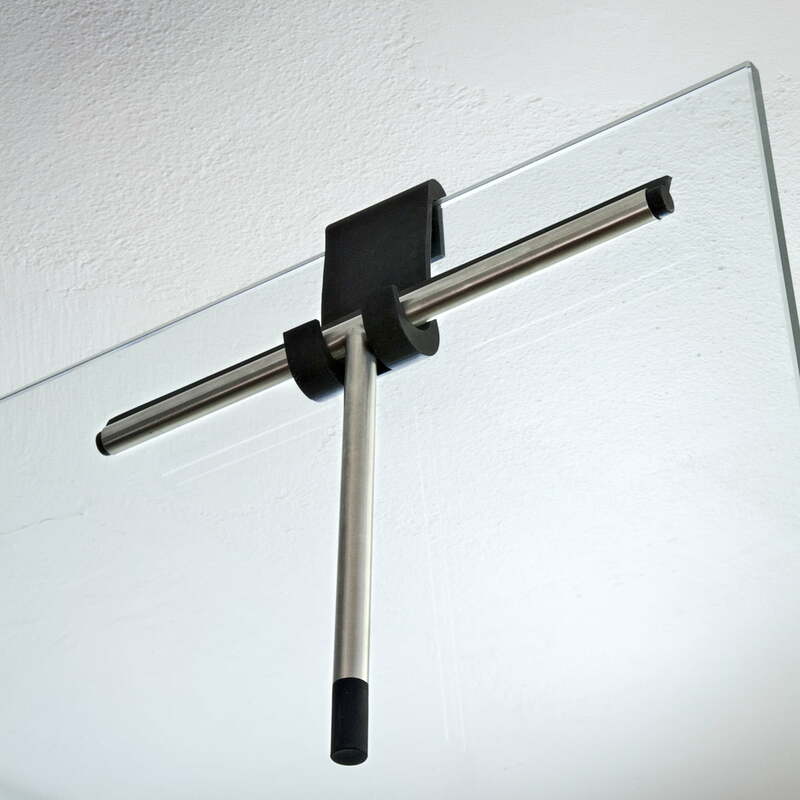 The Shower Wiper is available in brushed or polished stainless steel with black silicone rubber. The series Nova2 is guided by rectilinearity and discretion. This Shower Wiper is an object of daily use and doesn't need to hide at all. Due to two individual suspension possibilities, the Shower Wiper finds its perfect place in every bathroom. A black rubber ring can be mounted to the bathroom fittings, hence, the shower wiper is immediately ready to hand after a refreshing shower. Furthermore, the uncomplicated mounting in the shower cabinet is possible, regarding the rubber hook. Therefore, placing the wiper in the shower cabinet is a decorative reminder to clean the glass surface after every shower. 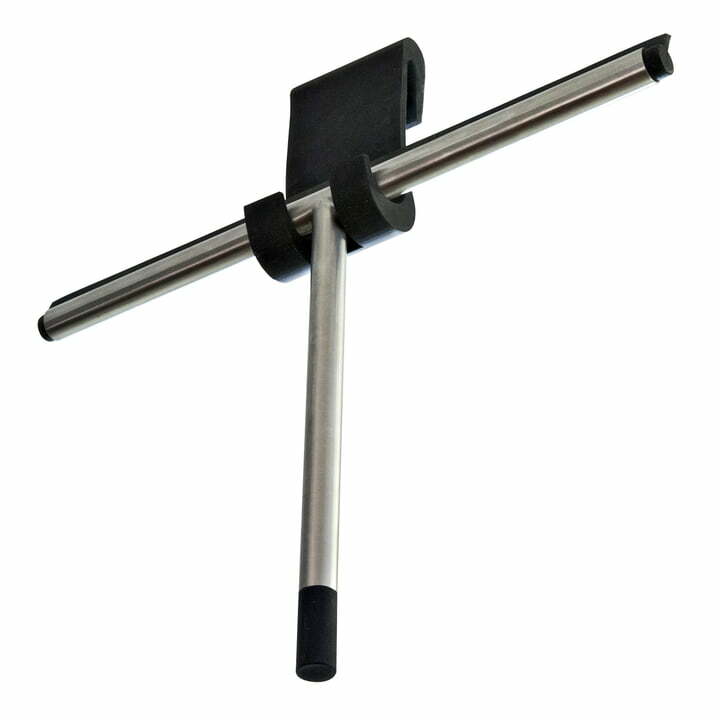 At the end of the rounded handle, the stainless steel is reinforced with additional rubber. The silicone rubber for wiping is all over the length of the shower wiping head. 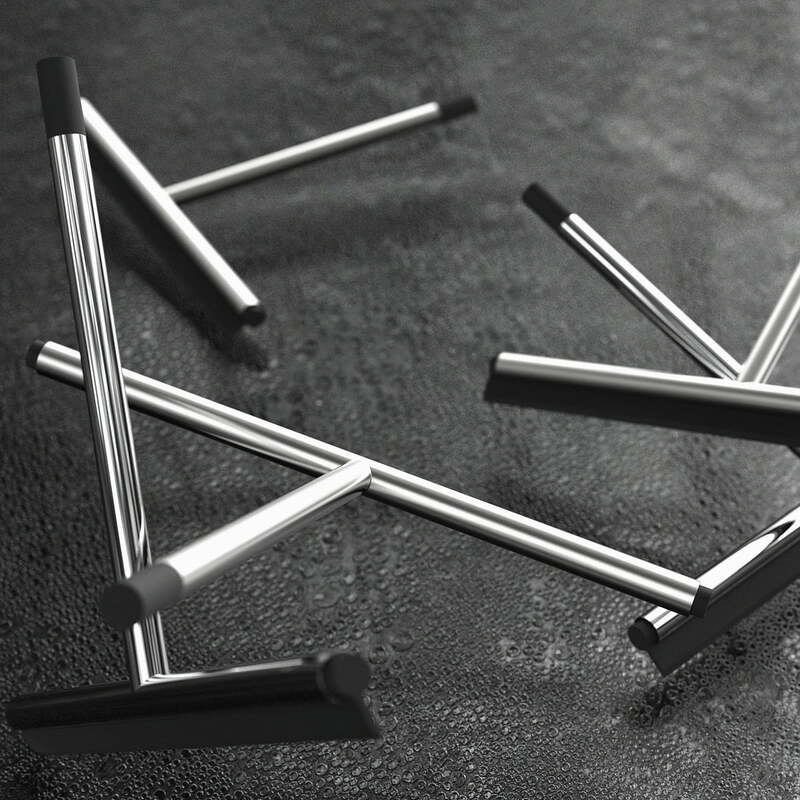 The Nova2 Shower Wiper by Frost is available in matte or glossy stainless steel. Good window wiper that can be hung on the glass or on a hook. Feels very light yet strong. 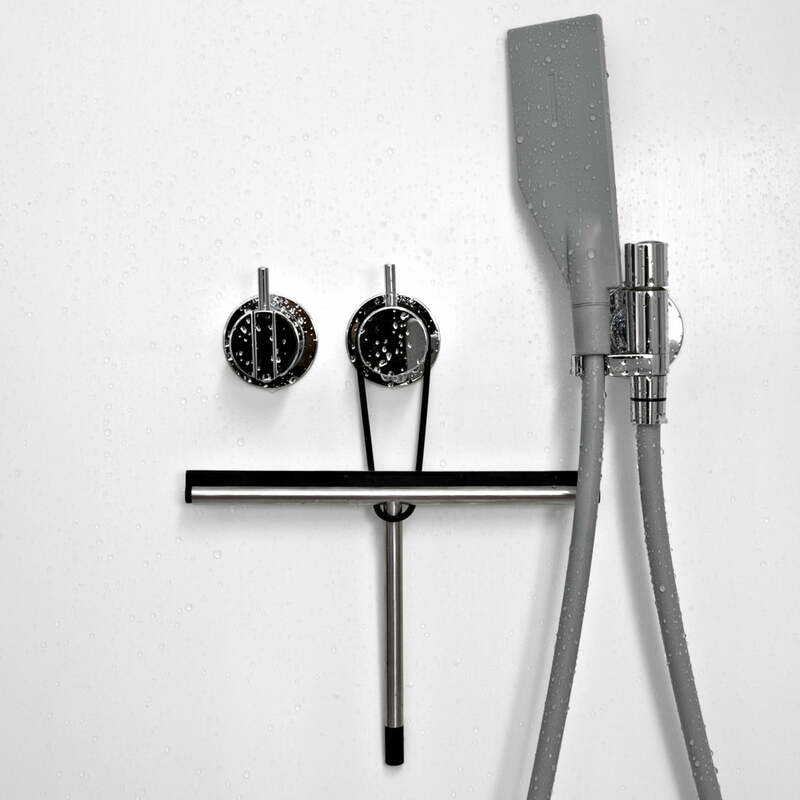 The Nova2 Shower Wiper by Frost is made of brushed stainless steel and comes with a hook for glass shower cabinets. A decorative reminder for regularly cleaning after every shower.